Academia.edu lets you add yourself to its gigantic Tree of University Departments. It’s a slick, slidey, Ajaxy UI, and there seem to be only benefits to adding your name to it, even though it will forever be incomplete. I’m a little confused by Sarah Palin’s joshing that she’s been listening to Biden’s speeches in the Senate since she was in second grade, especially with John “26 Years in the Senate” McCain standing right next to her. Problem 1. A famous thought experiment in economics involves dealing with a financial crisis by dropping money from a helicopter. a. [2 pts] How fast should Ben’s helicopter fly so that the briefcase lands in the center of the roof of Nassau Hall? b. [1 pt] How long is the briefcase in the air? c. [1 pt] How fast is the briefcase moving when it hits the roof of Nassau Hall? d. [1 pt] How much faster would the financial relief have reached Nassau Hall if the briefcase had contained $2 million instead? Thanks to Princeton Professor Shivaji Sondhi for sending this along. Greg is an economics professor at Harvard. Matt Pasiewicz at Educause has created a word cloud out of 1,000 university home pages. Nothing too surprising, but interesting nonetheless. Here’s a contest idea from my brother Andy. Submit your entries as comments. Prize: Nothing at all. Ethan Zuckerman is doing his usual raise-the-bar conference blogging, this time from Picnic in Amsterdam. See his roundup of the “Surprising Africa” day at Picnic. And that’s preceded by a post about an African architect, Francis KÃ©kÃ©, Ethan has long admired. Ethan is always an eye-opener. 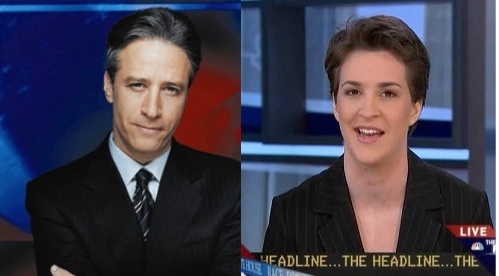 Who does Rachel Maddow remind you of? Here are the eight winners of the New Scientist visualization/photography contest. Beautiful. The Washington Post has a nice set of interactive features for “decoding” the debates. You know what would be even better? The open access Larry Lessig and a left-right coalition is calling for.